Made of super strong thick PET this is the ultimate shaker bottle. 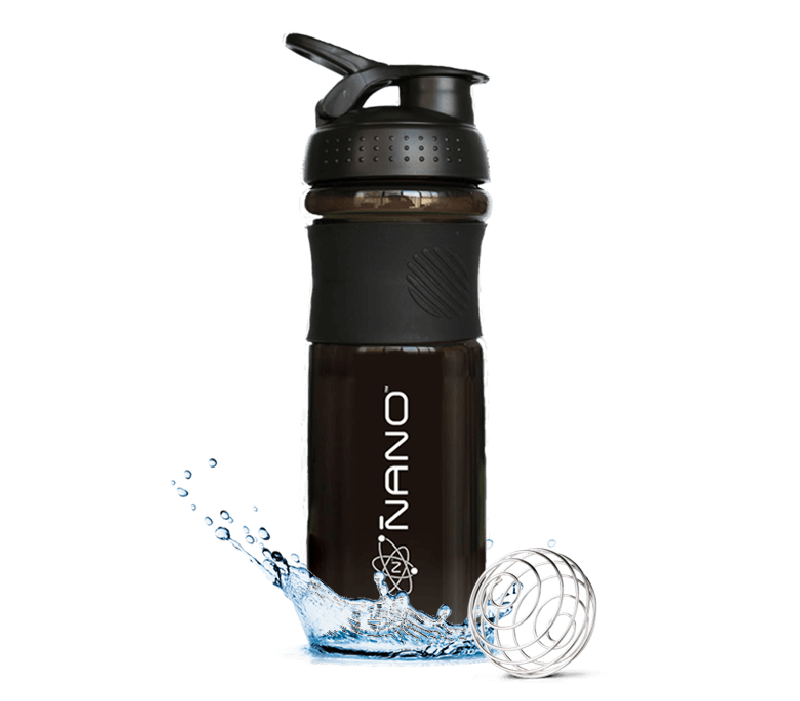 The Nano bottle is dishwasher safe and 100% BPA free. With stainless steel Nano Ball and rubber grip. What makes the Nano Bottle acids different? 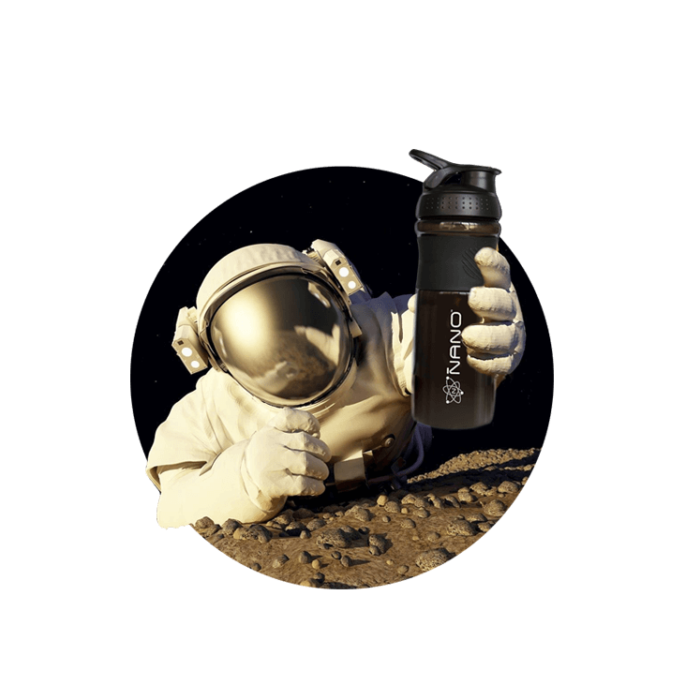 Compared to other shakers, the Nano bottle is made with super strong hard plastic, guaranteeing its optimal performance both in hot and cold environments. 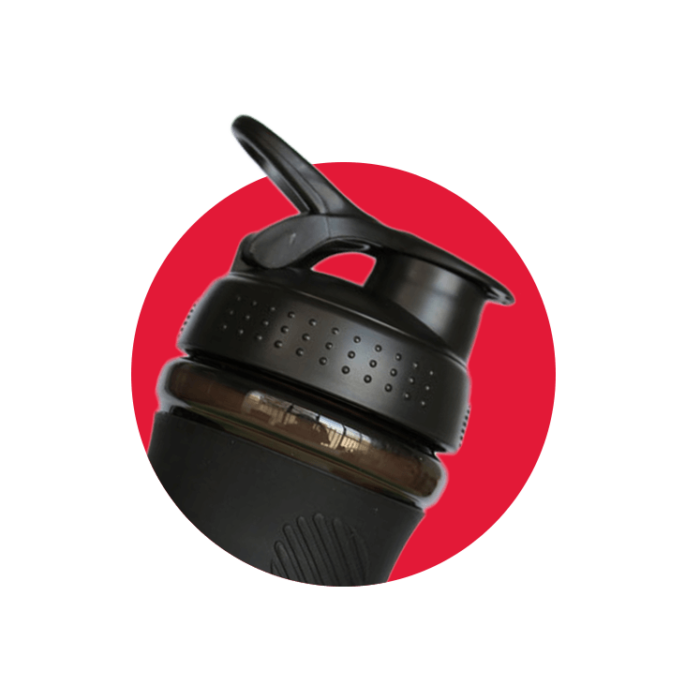 Moreover, flavours don’t stick to the Nano bottle, resulting in better hygiene and a better taste. The Nano Bottle will stay fresh for long, despite rough environments. healthiest way to take in your daily Nano meals. 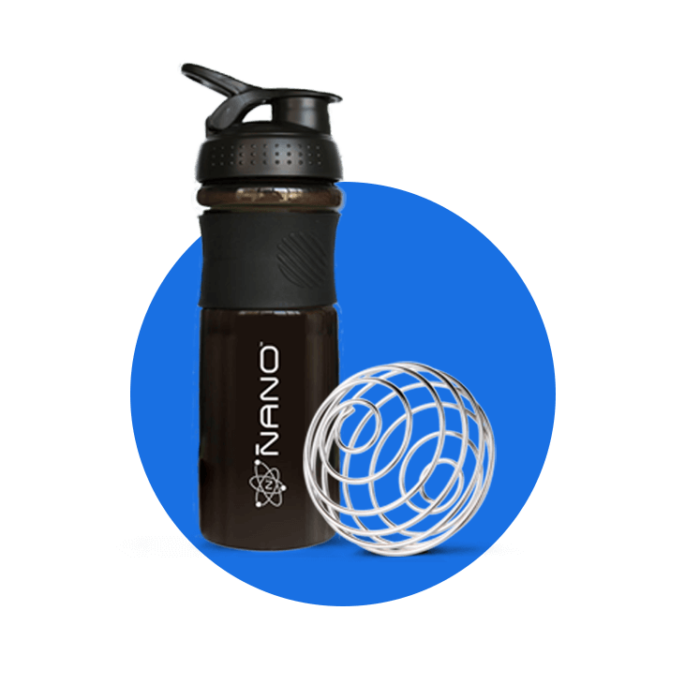 The Nano Bottle is fitted with the unique Nano Ball. The Nano Ball guarantees that with each use, nutrients are optimally mixed with the water for a delicious, creamy finish. In Nano pack orders of 222 meals or larger, we will include a free high-value bottle and mixer with your order. If you’re ordering a smaller amount than 222 meals we’ll charge an extra of €5,- for the bottle. 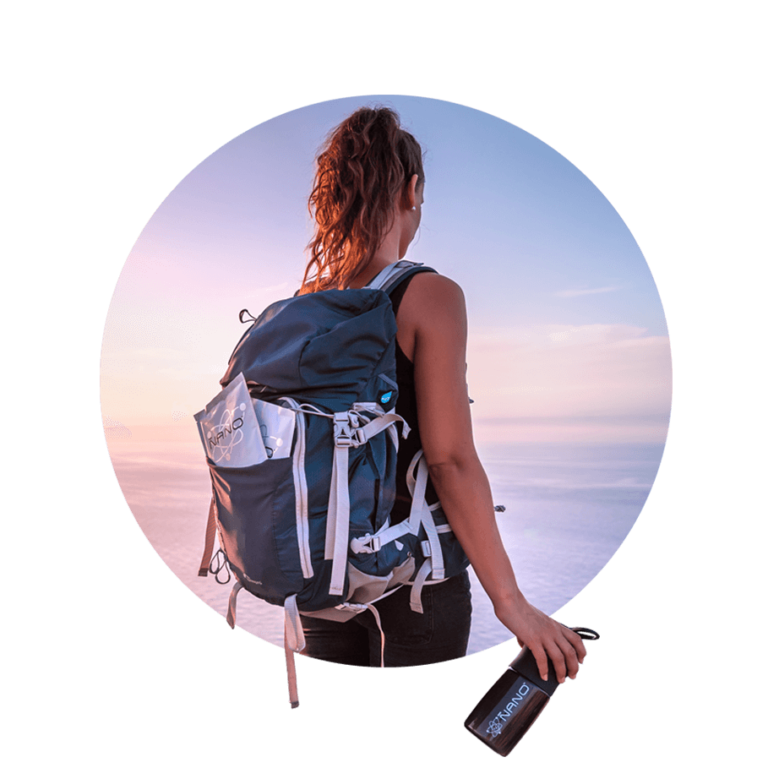 The top not only ensures the perfect dry mix experience but also includes a handy loop that enables you to attach your bottle to your backpack or bag. Though naturally, you can also just hold it.